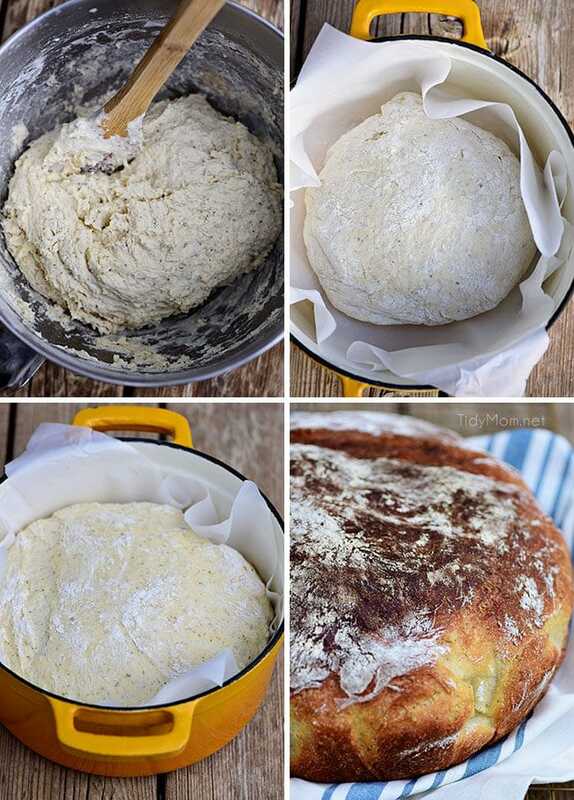 No Knead Dutch Oven Bread is an easy way to make artisan-style crusty bread at home! The best part is, very little effort is needed and it’s foolproof! Anyone can make it. Just 5 minutes of mixing in the morning and you can have delicious homemade bread with soup by dinner! As you may know, our youngest started her third year away at college a few months ago, making us empty nesters for another school year. While the eerie quietness of the house got to me the first year, she was home quite a bit on weekends. It didn’t take long before I started looking forward to having the house to ourselves for a stretch longer than five days. Having our life and house restored after three decades of the chaos of parenthood is actually a good thing! I’ve learned that a bowl of cereal makes a darn good dinner, I don’t have to do laundry until one of us is out of underwear, and best of all….. I can clean the kitchen and it stays clean! It’s now all about us!! We can watch what we want on TV and eat what we want for dinner!! This post was written by me in partnership with Progresso™ soup. The opinions, text, and love of soup are all mine. 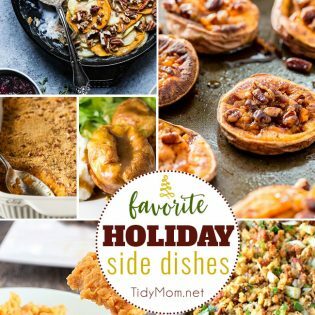 Thanks for supporting the brands that I love and make TidyMom possible. Right now my goal is to spend as little time as I can doing things that “must get done” like making dinner, doing laundry, and cleaning. The reason is so that I have time to do all the other things that I now have time to do, like traveling, reading for fun, and going to lunch with girlfriends. As I rolled out of bed, shut the windows and flipped on the heat because it was a chilly 48 degrees outside, I knew it was the perfect day to make a loaf of homemade bread. I decided to put my cast-iron Dutch oven to work! I used a no-knead bread recipe that wouldn’t take all day or all night. No rolling the dough and waiting overnight for it to rise. And I had something that tasted like what I get when I buy bakery fresh bread. Simple ingredients; flour, yeast, salt, water, yogurt, and honey are all I needed…….and a Dutch oven (a heavy pot that can go in the oven), a wooden spoon and parchment paper. With only two mouths to feed, some of our meals just need to be easy and not take up all the minutes in my day. 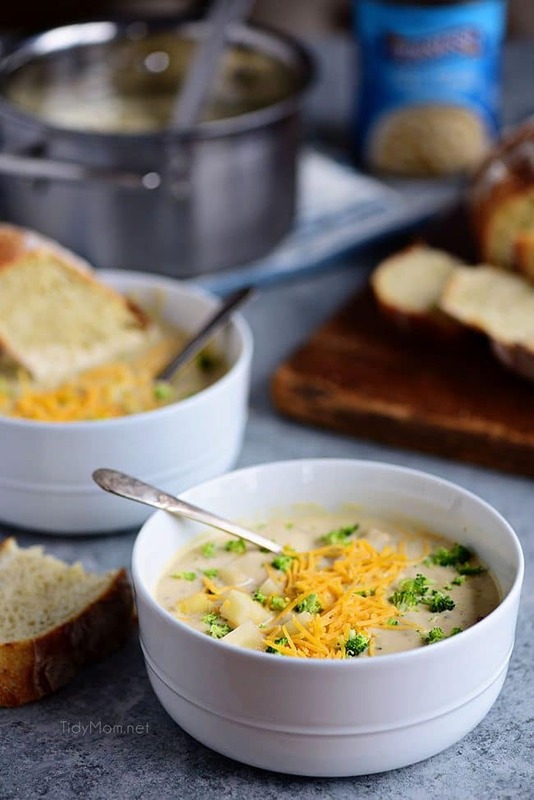 My husband is a hunter, and this time of year I don’t always know when he’ll be home for dinner, so something quick, simple and delicious like Progresso™ soup is a great to have in the pantry. With the taste of classic homemade soup, and quality ingredients like white breast meat chicken, coin cut carrots, flavorful broth, and herbs, Steve will think it’s homemade, just like the bread 😉 …….I might even let him hold the remote tonight! 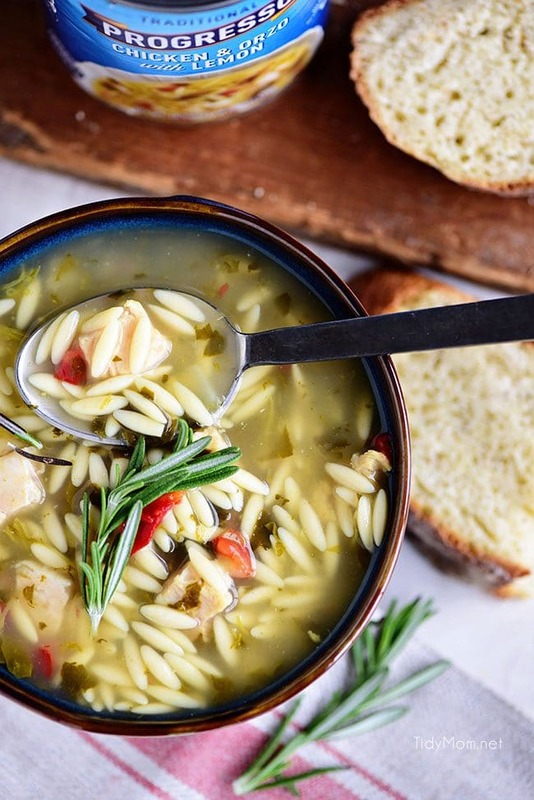 After a day of running errands, a bowl of Progresso™ Chicken & Orzo with Lemon is my choice when I have a moment to slow down and savor something warm and delicious. As the bread bakes in the Dutch oven with the lid on, it creates steam inside the pot, creating a nice crust on the bread. 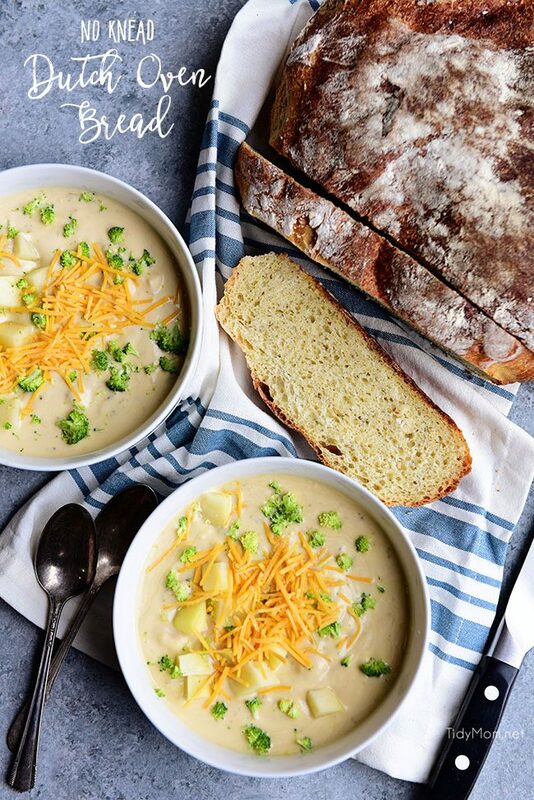 Perfect for dunking in a steamy bowl of Progresso™ Potato, Broccoli & Cheese Chowder or eating alongside a bowl of Chicken & Orzo with Lemon. I love that Progresso™ soups help me take it easy for dinner, without sacrificing that homemade taste. While my husband and I rediscover each other, and to recall what life was like BC (Before Children). Progresso™ believes that real, quality food can come in a can. Soup that people genuinely get excited to eat. Visit Progresso.com to find your favorite flavor. LIKE THIS NO KNEAD DUTCH OVEN BREAD RECIPE? PIN IT! 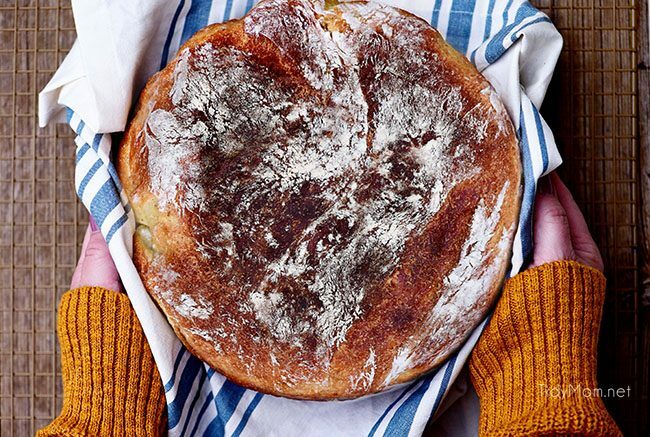 An easy way to make artisan-style crusty bread at home! Very little effort is needed and it’s foolproof! Just 5 minutes of mixing and you can have delicious homemade bread in just 4-5 hours! In a big bowl, stir together the yeast, flour, and salt. Add water, yogurt, and honey and using a wooden spoon mix until well incorporated. Cover the bowl with plastic wrap and let sit at room temperature for 2 hours or until it doubles in size. Line a 4-quart or larger Dutch oven with parchment paper. Dust your hands and work surface with flour and scrape the dough out of the bowl (dough will be loose and sticky). With your floured hands, roughly shape dough into a ball. Place dough ball into parchment lined Dutch oven. Let it sit on counter to rise 1 hour. Preheat oven to 475°. Place rack in center of oven. Cover the Dutch oven with lid and bake for 20-25 minutes. Carefully remove the hot lid and continue baking another 20-30 minutes, or until the bread is a deep golden brown. Remove the bread from the Dutch oven and let it cool completely on a rack for at least 1 hour before slicing. for more of a sourdough flavor, let the dough rise in the refrigerator overnight. the smaller the dutch oven, the more the bread will rise upwards. You were one of the first blogs I ever read. Now several years later reading about your empty nest status. Our youngest is in highschool and our daughter is now working (and moved out this summer) and our middle is a freshman in college outside of Minneapolis. It was a great post! 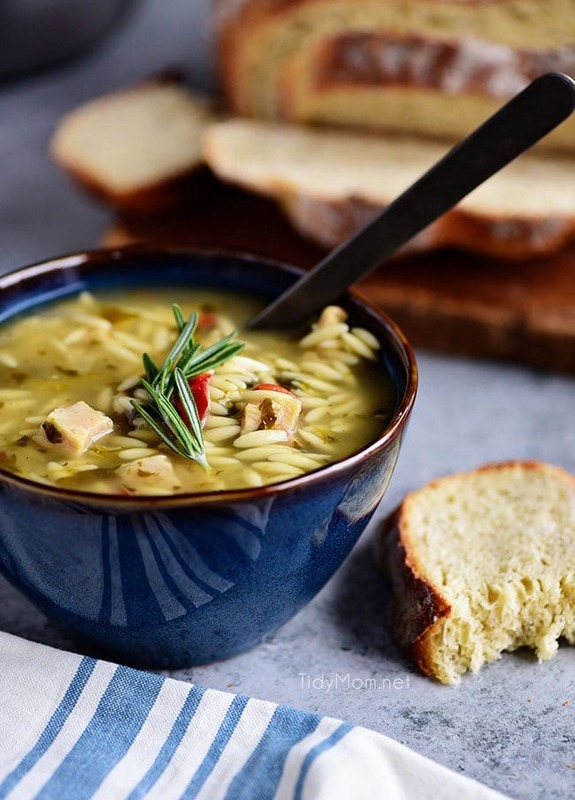 I do a few sponsored posts and yours was a great way to weave the soup with the artisan bread. Loved it! thanks so much Laura!! They grow up too fast don’t they?! 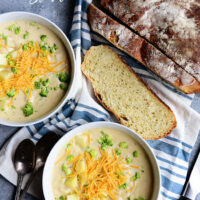 We love having bread with dinner, especially with soups!! I need to try this. It’s looks amazing! This bread is EVERYTHING! Anything that is hands off and full of carby goodness is a winner in my book. 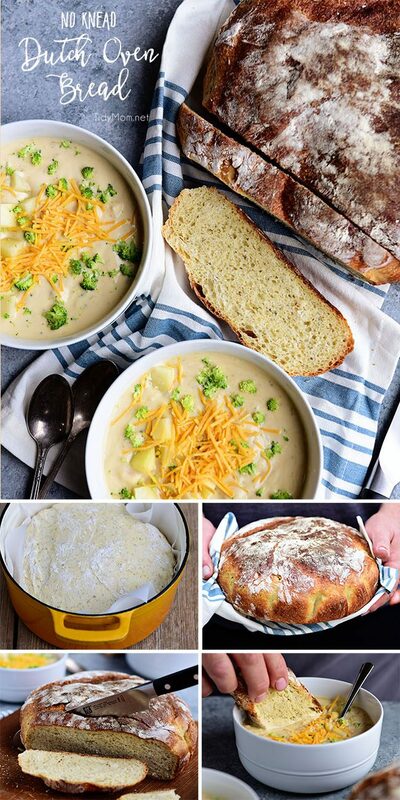 I would love a big bowl of soup and some of that delicious looking bread right now! I just discovered these bread recipes! I have made a plain one and one with cranberries and walnuts (so good). This recipe is a bit different than the others with the yogurt in it. Does that give it more of a sour dough taste? Love sour dough! 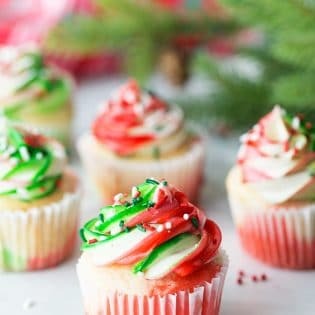 Thank you – pinned to try over the holidays. Happy Thanksgiving! This bread is a delight! And there’s nothing better to eat with a big bowl of soup. Nice! No kneading! I am always in for that! I’d like to make this for Thanksgiving dinner, but as rolls instead of bread. Is that possible? Also, I don’t have a cast iron Dutch oven, only a heavy cast aluminum one that I think is good in the oven up to 400, maybe 450 (handles). Does the bread really have to bake at such a high temp?